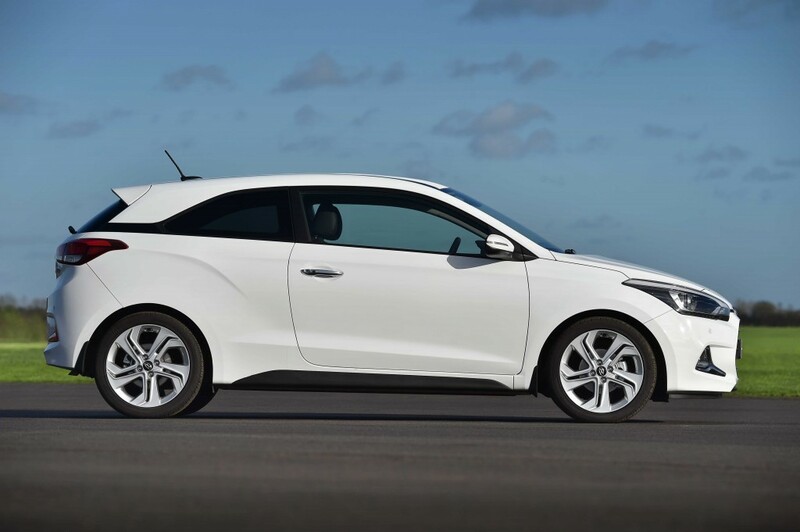 Hyundai Motor UK has today announced pricing and specifications for the New Generation i20 Coupe. Prices start at £12,725 for the entry level SE, with standard features such as: 16″ alloy wheels; Bluetooth connectivity; cruise control with speed limiter; rear parking sensors; and rear spoiler. Priced from £13,725, customers choosing the Sport derivative benefit from: 17″ alloy wheels; automatic lights; auto dimming rearview mirror; climate control with auto defog; and privacy glass. The range-topping Sport Nav model adds integrated satellite navigation with 7″ touch screen, Rear View Camera and DAB radio for £14,400. New Generation i20 Coupe customers have a choice of two engines; a 1.2-litre petrol with an output of 84PS and a 1.4-litre diesel engine delivering up to 90PS. The petrol is mated to a five-speed manual transmission, while the diesel comes with a six-speed manual gearbox as standard. Despite its sportier appearance, New Generation i20 Coupe still offers best-in-class boot space of 336 litres. There are two new trim levels – Premium Nav and Premium SE Nav – both of which feature Hyundai’s integrated satellite navigation with 7″ touchscreen, DAB radio and rear view camera. Premium Nav, based on the Premium derivative, is available from £14,400, while Premium SE Nav is available from £15,400. Designed, developed and built in Europe, production of the New Generation i20 Coupe will take place at Hyundai’s Turkish manufacturing plant in Izmit, alongside the New Generation i20 five-door. New Generation i20 Coupe will be available across the UK from 26th March 2015. This entry was posted in Car Updates & Releases, Family Car, Manufacturer News, Popular Cars and tagged Hyundai i20, Lease the new Hyundai i20 by David Petherick. Bookmark the permalink.